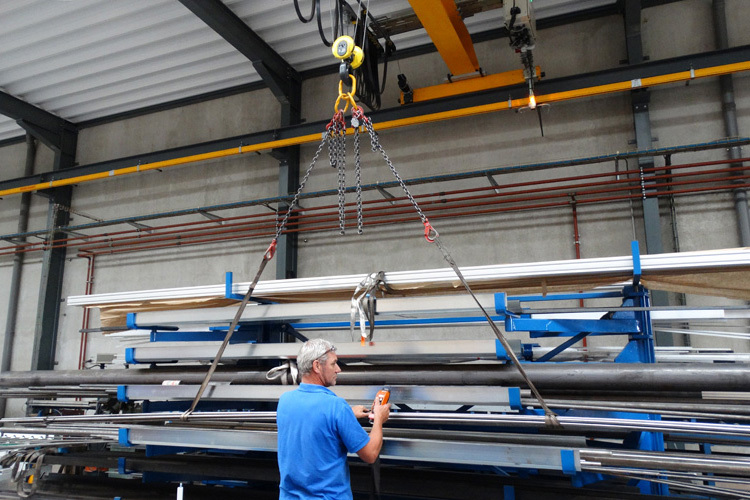 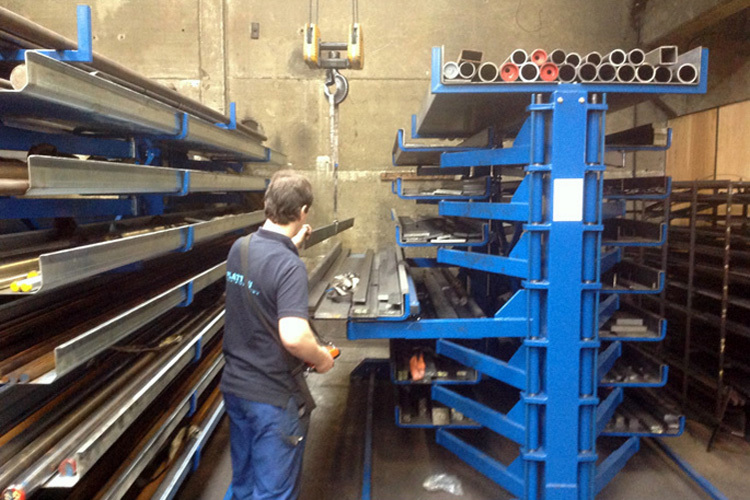 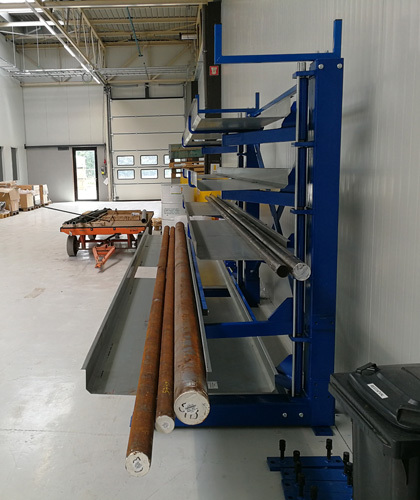 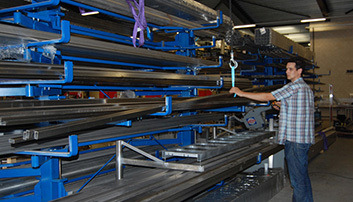 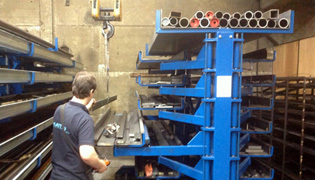 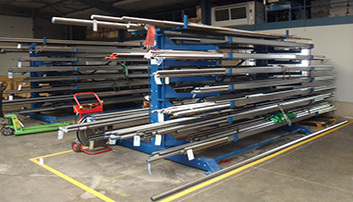 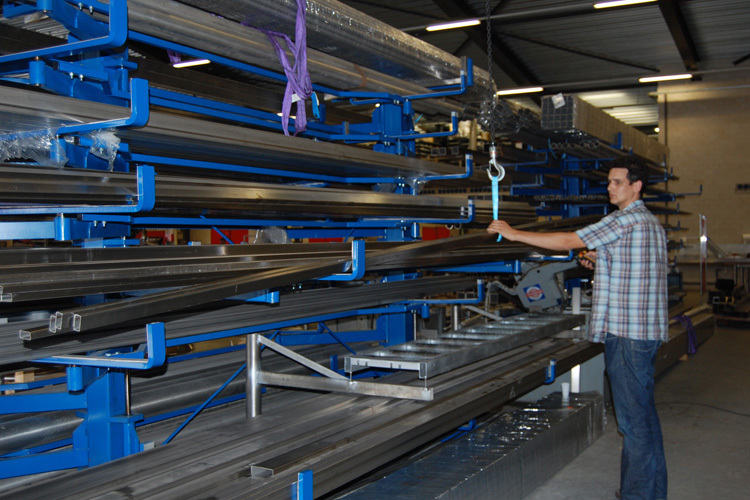 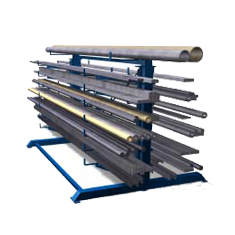 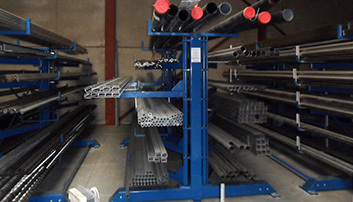 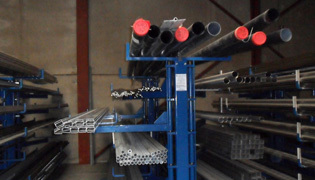 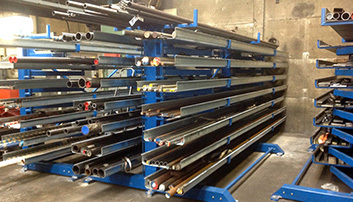 This cantilever with pivoting arms is ideal for the storage of tubes, bars, profiles, angle iron in steel, aluminum, stainless steel, … In this cantilever rack, you can store long profiles of 3 m and 6 m. Your profiles are directly accessible because the levels can be completely extended from the cantilever rack. 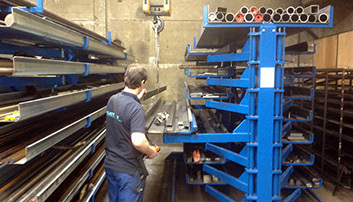 The drawers are then free for loading and unloading profiles with a crane. 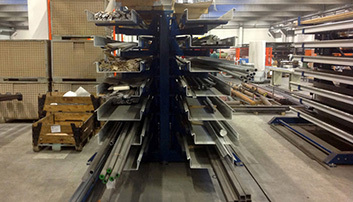 The cantilever racks with pivoting arms is available in 12 different models. 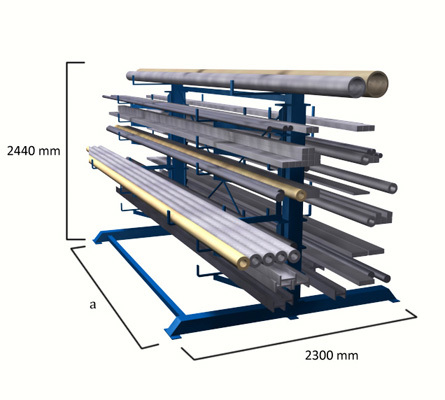 Materials with a length up to 3000 mm or up to 6000 m can be stored in single- or double-sided models with 5, 6 , 7 loading levels. 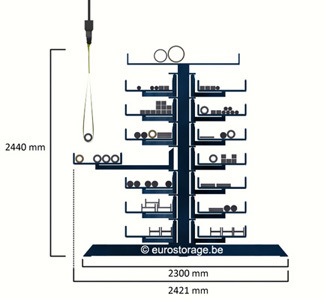 The maximum loading capacity per level is 2000 kg. 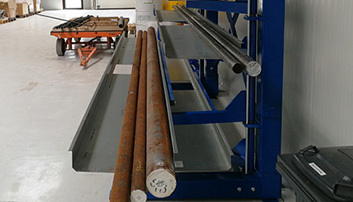 Accordingly, the total capacity can go up to 28,000 kg per 21 square meters (7 levels – double sided). 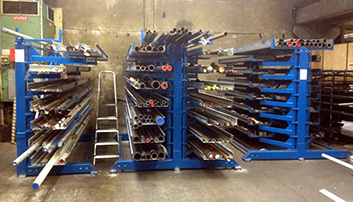 For other dimensions or loading capacity, have a look at the possibilities of the roll out rack. 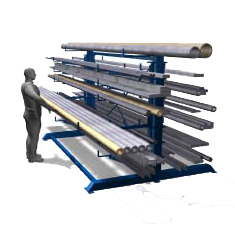 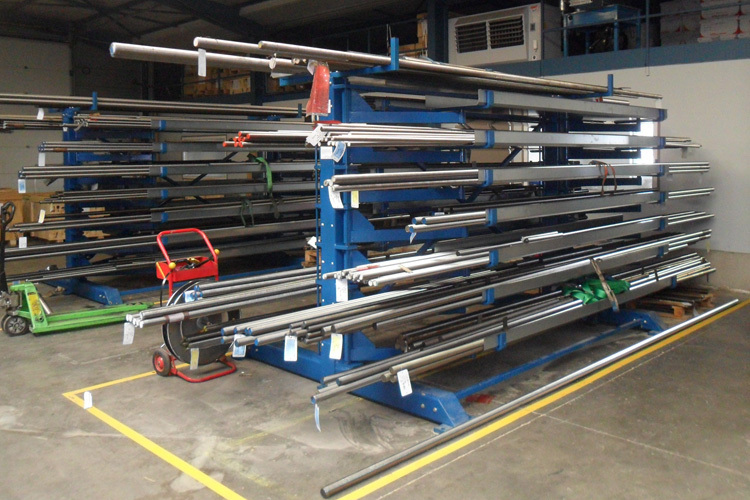 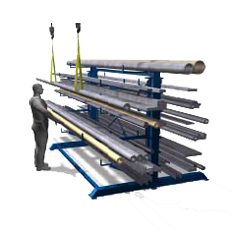 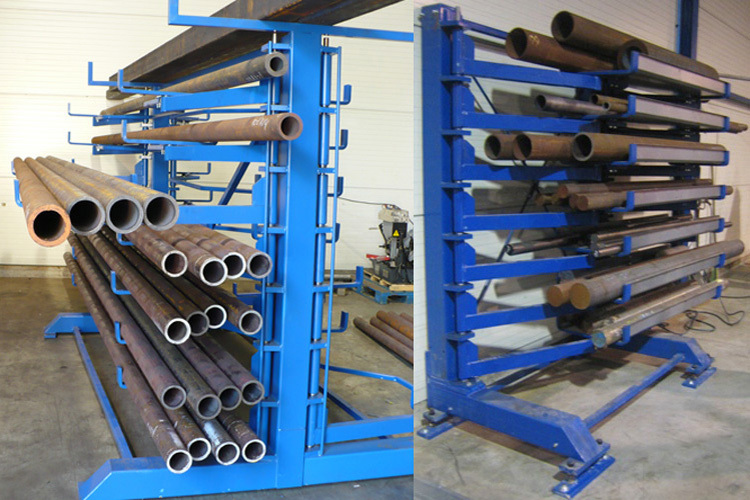 The roll out rack is suitable for profiles of 6m -12m -15m or 20m, with a loading capacity of more than 2,000 kg. 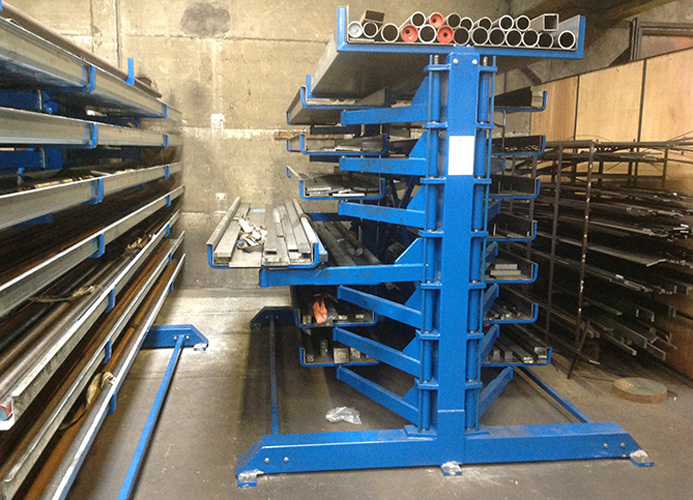 With the roll out rack you can determine the loading capacity and the dimensions of the levels. 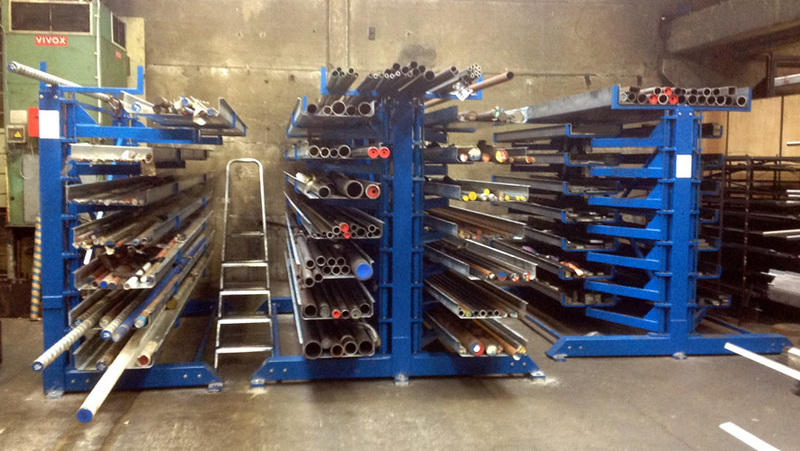 With the support arms, you can securely extract every drawer from the rack. 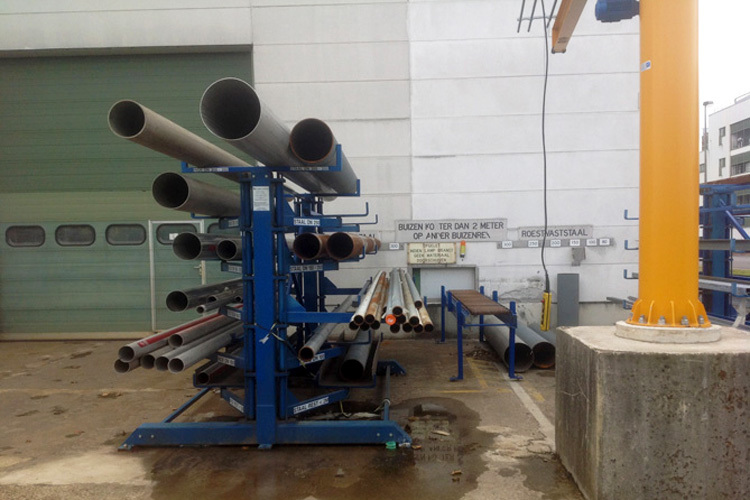 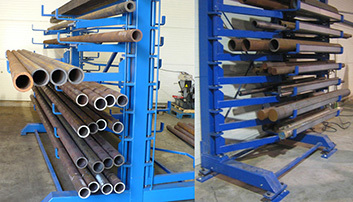 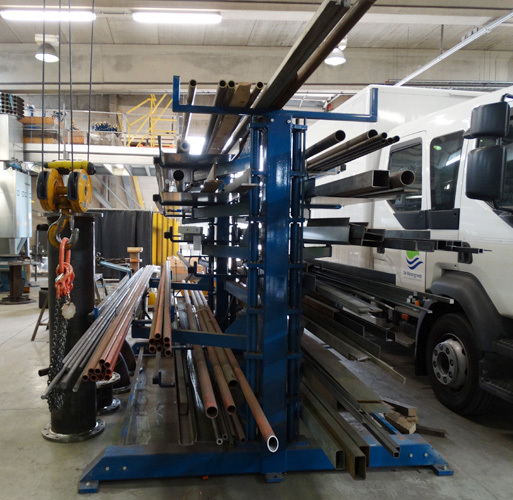 When you have manually extended the drawer, the profiles, pipes or other long materials are completely available for transport. 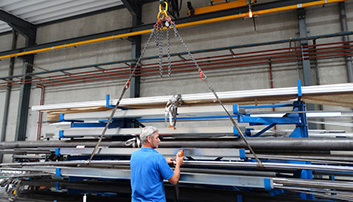 In this way, you can easily load profiles with the loading bridge or with the loading crane. 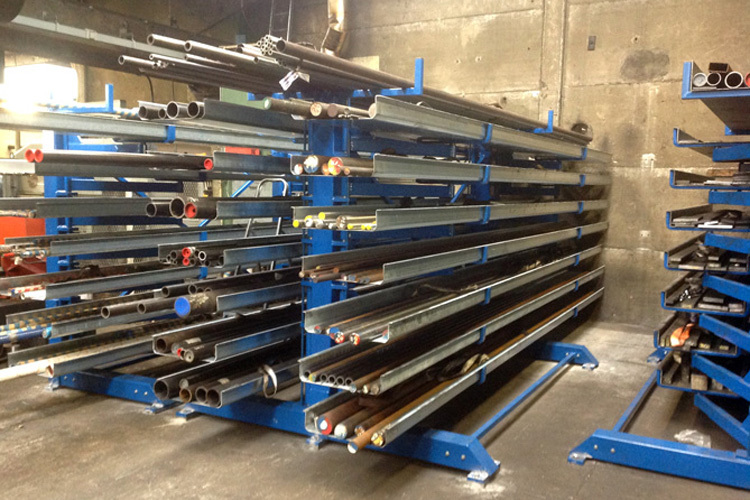 Would you like to roll out the drawer with a crank instead of manually pulling it out? 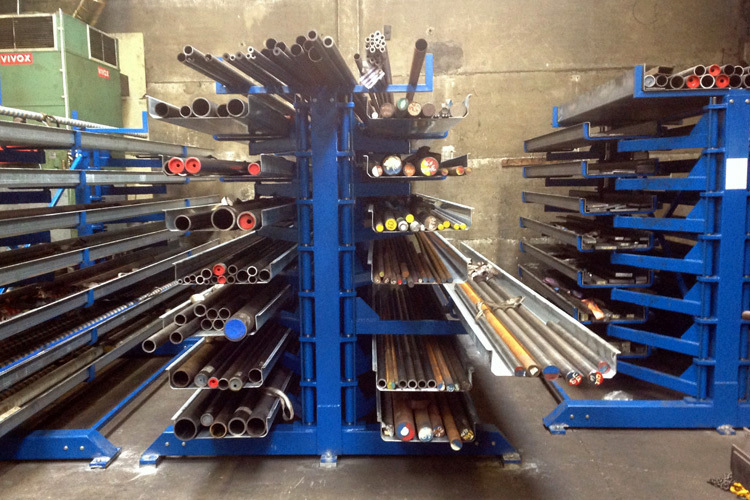 Take a look at our storage of profiles in rolling out drawers. 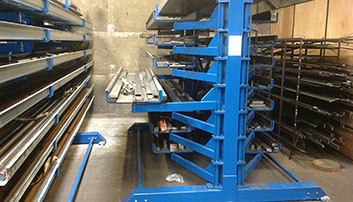 The horizontal drawers are 100% extendable from the rack. 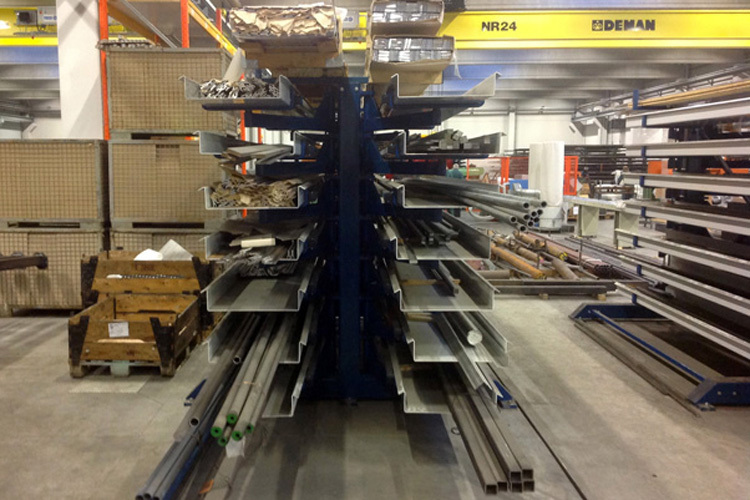 Every drawer and every profile is directly available for transport to your machine. 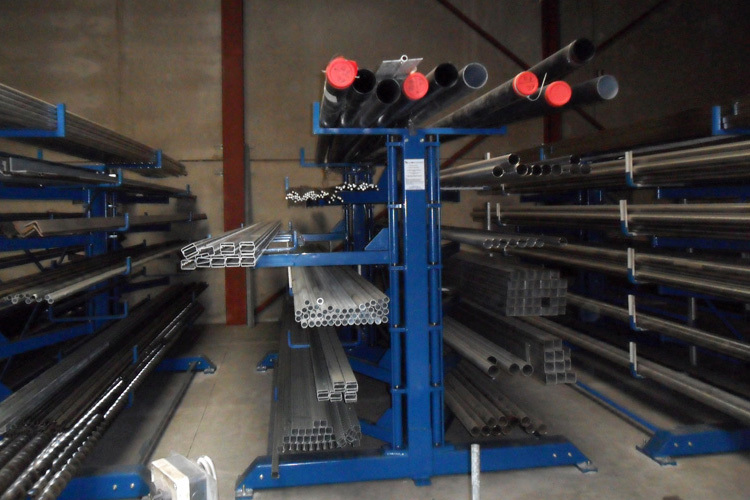 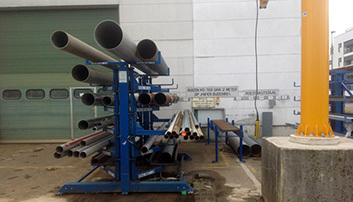 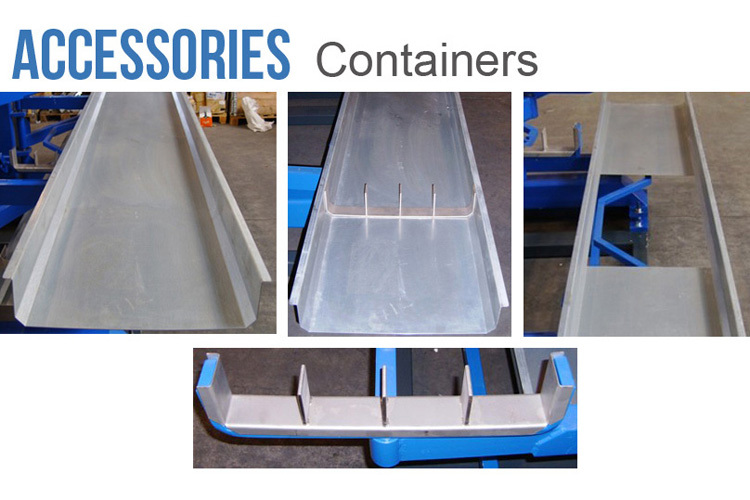 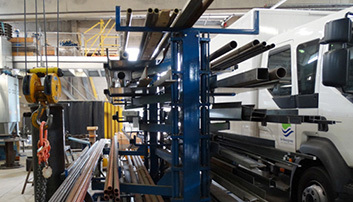 Your profiles in steel, aluminum, stainless, galvanized are always completely accessible for loading or unloading. 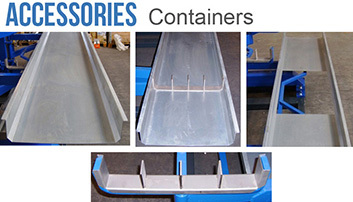 It’s a compact and well-arranged storage method for easy handling, where safety and fast handling are the key points. 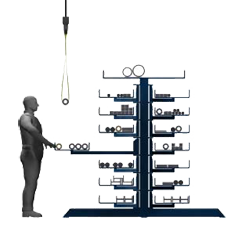 There is only one person needed to execute the handling. 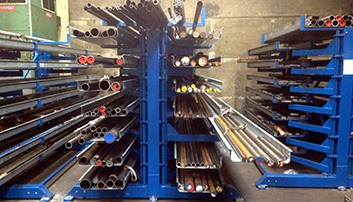 The video shows how one person can easily extract the drawer (with its load) from the rack.